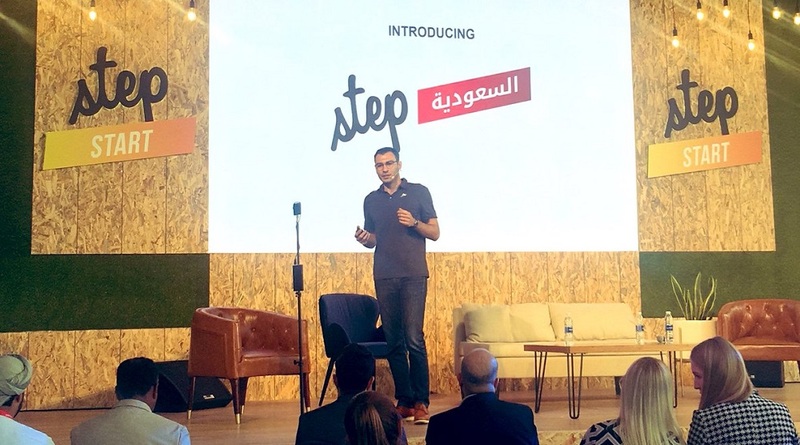 Dubai-based Step Group, the company behind Step Conference, one of the leading technology events of MENA has announced its expansion to Saudi. The announcement was made by company’s co-founder and Ray Dargham at ongoing Step Conference in Dubai today. Step Saudi’s first edition will take place in Riyadh next month. Founded in 2012 by Ray Dargham, Nizar Fakih, and Bahaa Moussalli, Step Group has become one of the leading digital media and events company of the region with online publications like StepFeed and YallaFeed, and its annual event Step Conference that had started with 300 attendees in 2012 and has grown to become a two-day conference with five tracks that now attracts thousands of startups, founders, digital media professionals, investors, and government officials every year in Dubai. The company is backed by Wamda Capital, Dtec Ventures, EquiTrust, and North Base Media. Step Saudi will be the second big regional startup and technology event to make it to Saudi. Beirut-based ArabNet has been organizing an annual conference in Riyadh for almost seven years that is currently the leading event (by a private player) in this space. ArabNet, last year, had also announced its further expansion into Saudi after receiving a license to open an office in the country. Because of the increased activity in the Saudi startup ecosystem and massive digital transformation push by the government, the country is becoming an attractive market for many regional players. Apart from ecosystem enablers like ArabNet, Step and RiseUp, many regional VCs are also looking to set up their shops here, Dubai-based MEVP and Kuwait-based Arzan VC being two of them. 500 Startups, one of the most active early-stage investors has also recently launched its accelerator program in Riyadh in partnership with Misk. Step has not shared any details about the event but we’ve reached out to their team to learn more and will update the story if we hear back.